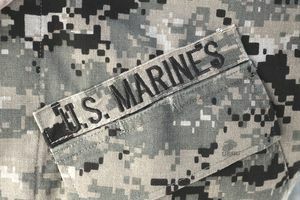 If you choose to become a Marine Corps Security Force (MCSF) guard, you will be assigned to duty with MCSF units, according to the Military Occupational Specialties (MOS) Marine Corps Manual. As a member of a reaction force, you will conduct offensive infantry tactics in confined spaces, ashore and afloat, to restore breached security and provide the final barrier/element of an integrated security plan for the asset being protected. In the grades of corporal through gunnery sergeant, as a security supervisor, the Marine will plan, evaluate, and supervise the implementation of site-specific security plans to protect assets designated as vital to the national security. Physically fit and mentally capable of enduring the rigors of combat. Requisite knowledge to safely and properly employ the service rifle, pistol, and shotgun. Skills in land navigation and patrolling. MCSF guard is part of the MCSF Regiment -- headquartered in Norfolk, Va. -- which includes Marine Security Force Companies, Fleet Anti-Terrorist Security Teams, and Recapture Tactics Teams. The MCSF Regiment provides security to guard high-value U.S. Navy installations, particularly nuclear weapons and vessels. Marines who desire to join the Marine Corps Security Forces must first enlist as infantrymen. Following completion of Infantry Training Battalion, the Marine is required to attend Naval Security Group Activity in Chesapeake Va for Security Forces Training before being assigned to either an MCSF Co., Fleet Anti-Terrorism Security Team (FAST) or a Recapture Tactics Team (RTT). FAST Marines are a dedicated security and anti-terrorism team that provides security forces to guard high profile navel installations, especially those that contain nuclear weapons. FAST platoons usually deploy to areas in need of naval security operations. RTT Marines are specialists in SWAT processes but are not trained to be part of the military police special reaction team. RTT are prepositioned in strategic locations where they are most needed, and they do not deploy. RTT Marines are a permanent security force at nuclear weapon stations and U.S Naval installations, and they specialize in responding to security threats.